Only an unfeeling machine wouldn’t be excited at the prospect of a sequel to the 1977 classic, Robots of Death. 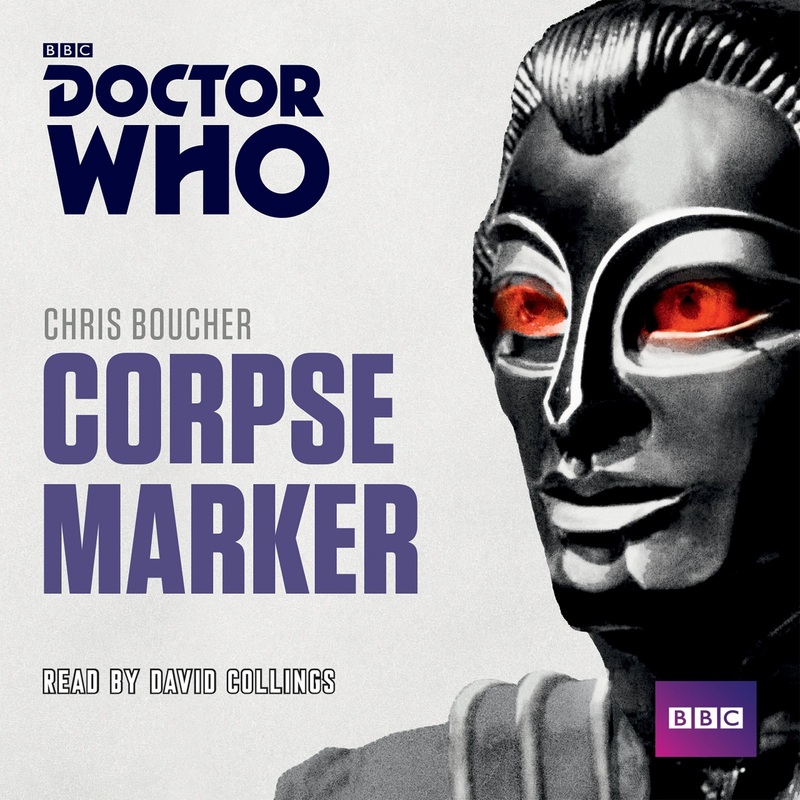 With Corpse Marker, that’s exactly what Chris Boucher gives us. One of the really impressive things about Robots of Death is how easily and thoroughly that particular world was fleshed out. We had some mysterious animosity between Uvanov and Zilda; mentions of the 20 Founding Families; disparate clothing choices, yet all somehow influenced by the titular robots; and paranoia borne from a distrusting society, where everyone on Storm Mine Four had something to hide, something to gain, and a lot to lose. It always felt like each crew member were standing on the precipice, not only suspects for murder but as if one wrong move would lead to dire consequences. This was a strict civilisation, and the class system was aptly reflected in the Dums, Vocs, and SuperVocs. Corpse Marker gives Boucher a chance to explore that society a bit more, and find out how the revelations of Storm Mine Four affected the city of Kaldor. And of course, it hasn’t affected many people at all. It was all shushed up. The only people who know anything are the survivors of Robots of Death (so spoilers if you’ve not seen it!). Uvanov and Toos continue to successfully reach for power, even if their trajectories are in contrast to one another; meanwhile, poor Poul has lost basically everything including his memory and mind, his career essentially flatlined, though he’s still held in a high position – not that anyone, Poul included, knows exactly why. Naturally, all three have a distrust of robots. Uvanov comes out of it best, while Toos can stand working on other storm mines with robots, as long as they’re not on the same deck as her. The events of Robots of Death could’ve changed everything, and admittedly, it changed their worlds, but not the world. 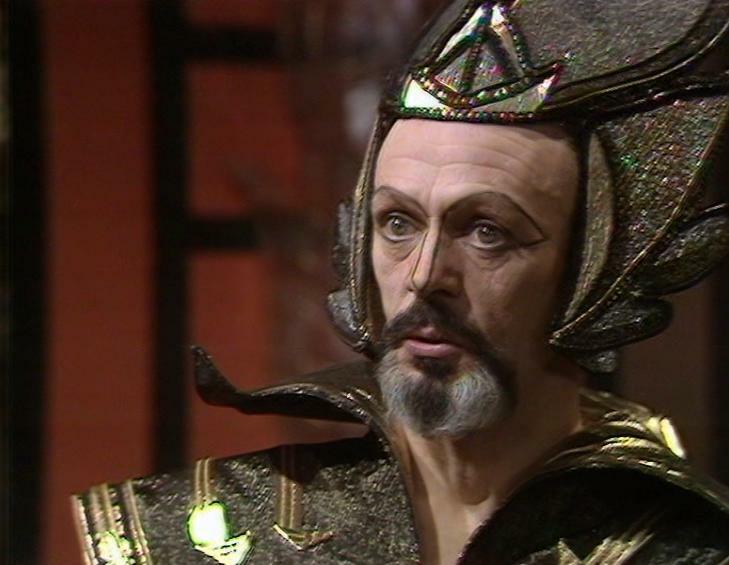 Robotic killers didn’t make the headlines because that really would’ve flipped Kaldor’s civilisation upside-down. Rumours persist, but that’s about it. People still trust robots implicitly, and distrust the likes of Poul, and indeed anyone who doesn’t like machines. 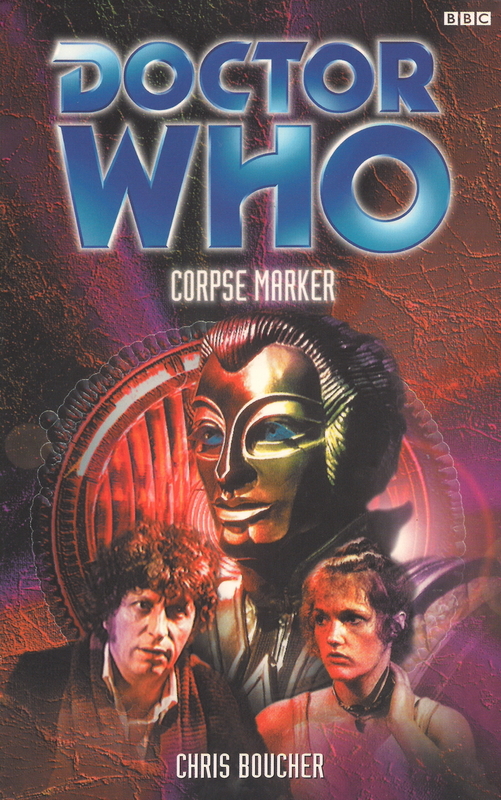 Corpse Marker very much stands in the shadow of its TV forefather (so much so that anyone who hasn’t seen the original serial will likely get very lost), but Boucher finds a great deal of fun in revisiting the serial – and in particular, the legacy of Taren Capel, the nutty scientist who wanted to cause a robot revolution. That figure, though, has been distorted, and a cult has risen in his wake. Tarenists think Capel is their saviour, ritualistically saying “humanity be in him”. That’s right: Taren Capel’s thought of as someone who will save them all from robots. It’s a lovely bit of inversion. Even if what happened on Storm Mine Four is classified, there are still plenty of folk who don’t like the Vocs et al. ; it’s only natural, considering the so-called ‘uncanny valley’ we feel now. Just imagine that exemplified by a world that relies on intelligent machines that really do look like us. 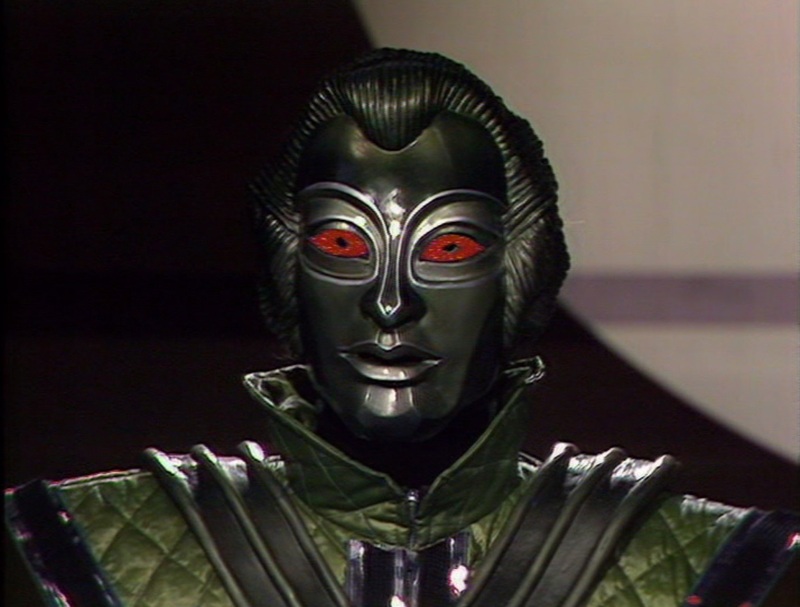 Those people are mainly consigned to the Sewerpits, an area of Kaldor city not teeming with robots – because there’s something that stops them getting in. The Sewerpits are slums, in essence, but they’re dangerous. Thieves and cannibals hunt the alleyways. There’s no law enforcement. It’s where the class system probably originated: Toos is one of the best storm mine captains, and her reward is vast wealth; Poul is an oddball, depressed and lazy, in a relatively high position, but disliked by all, including Toos and Uvanov. If money is Kaldor’s carrot, the Sewerpits are the stick. 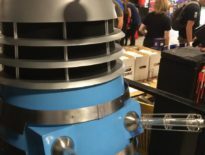 It won’t come as much of a surprise that the Doctor and Leela soon find themselves in the pits, separated from each other almost immediately. Even Leela, more than capable of fending off whatever’s thrown at her, doesn’t feel remotely at home here. There’s a palpable sense of jeopardy: where Robots of Death showed us that robots are the enemy, Corpse Marker shows that we can’t trust each other either. The story feels very tense, an air of menace hanging over proceedings. Storm Mine Four was a base-under-siege set-up, so of course everything’s going to seem distinctly threatening, but Corpse Marker smartly extends that danger to the whole city. There’s nowhere to run. You might think you’re safe from robots in the Sewerpits, but it means you’re instead susceptible to the criminal underbelly. That’s not to say the robots aren’t a huge threat. They’re the main enemy once again – you’d be disappointed if they weren’t – and a secret upgrade has made them all the more worrying. The obvious thing for Boucher to do is introduce a cyborg class, machines that look and think like us (though admittedly a bit more murder-y than your common-or-garden human). Nonetheless, I didn’t find the Doctor particularly well realised. His eccentricities were a little lacking, even though he does have some good lines. Conversely, Leela, Uvanvoc, Poul, and Toos are all perfectly characterised. The supporting cast (including Psychostrategist Carnell, created by Boucher for his Series 2 episode of Blake’s 7) also fare well, but there’s extra joy from catching up with these returning personalities. It’s difficult to pick just one of these to highlight: I immediately liked Poul in Robots of Death – his journey is fascinating – and he remains just as likeable and more than anything sympathetic (despite not acting in anyone’s best interests, nearly killing himself and the Doctor in the process); Toos is more engaging in Corpse Marker than on TV, her drive, selfishness, and excesses oddly enjoyable; and Uvanov… Well, he doesn’t change at all. He has an understandable ambition, and you really do root for him. Against all the odds, he’s breaking into the higher echelons of their class system. And then there’s Taren Capel, a truly brilliant creation, sadly not fulfilling his potential by the end of the book. But Taren Capel’s dead – isn’t he…? Unfortunately, Corpse Marker lets itself down at the end. It’s a big anti-climax, and there are lots of dangling threads and plot lines that don’t lead anywhere. 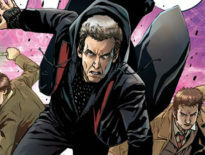 The Doctor warns that “when you’ve been around for as long as I have, almost everything does look disappointingly familiar,” and while Boucher goes out of his way to make sure this isn’t just more of the same, the ending is disappointing. A lot of questions are left hanging (some of which are likely answered in the Kaldor City audio series, but that’s hardly the point). Corpse Marker isn’t as strong as The Face of Evil, Robots of Death, and Image of the Fendahl, but it remains very much worth reading; the feeling of immersing yourself in Kaldor culture again is a fantastic thing, too tempting for fans to resist.